Are you planning to hire interns this summer? While it can be tempting to allow such individuals to volunteer at your place of business or pay less than the minimum wage, the fact is that internships are most often considered “employment” subject to the federal minimum wage and overtime rules. Under the federal Fair Labor Standards Act (FLSA), interns in the for-profit private sector who qualify as employees typically must be paid at least $7.25 per hour, and not less than one and one-half times the regular rate of pay after 40 hours of work in a workweek. Note: When both the FLSA and a state law apply, the employee is entitled to the most favorable provisions of each law. Be sure to check your state wage and hour laws for applicable requirements. Visit our Employee Pay section for information on other common federal wage issues. A final rule, effective December 1, 2016, updates the regulations governing which executive, administrative, and professional employees (white collar workers) are entitled to the minimum wage and overtime pay protections of the federal Fair Labor Standards Act (FLSA). The name of the legislation, the Patient Protection and Affordable Care Act (“ACA”), could lead to the conclusion that because of its enactment, health care will be more affordable. If you are at or below 400 percent of the federal poverty level and a U.S. citizen, then you are in the group for which health insurance has likely become more affordable. However, most everyone else has seen – and will see – health insurance premiums and out-of-pocket expenses (deductibles, copayments and coinsurance) increase. The ACA provides premium tax credits toward the purchase of health insurance for U.S. citizens whose income places them between 100 percent and 400 percent of the federal poverty level, and cost-sharing subsidies for out-of-pocket costs (deductibles, copayments and coinsurance) for people with incomes between 100 percent and 250 percent of the federal poverty level. For those below 138 percent of the federal poverty level, some states have expanded Medicaid to allow previously uninsured individuals and their families to receive Medicaid benefits. These are the two groups that have more affordable access to care since the enactment of the ACA. For everyone else, the ACA mandates that individuals have qualifying insurance coverage or else pay a penalty. Qualified insurance coverage under the ACA must offer “essential health benefits,” including preventive and wellness services. These benefits are much more extensive than those in many insurance plans that people had prior to the ACA, and such benefits drive up the cost of the health plan. Why are insurance premiums for those who don’t qualify for tax credits and subsidies so much higher since the ACA became law? In addition to the richer benefits, insurance companies are no longer allowed to exclude people from coverage because of pre-existing conditions or charge higher premiums to this group of higher-cost individuals. Insurance companies can set insurance rates only taking into consideration a subscriber’s age, county of residence and whether the subscriber smokes. In Idaho, federal surveys report that 17 percent of adults smoke regularly, but less than 3 percent of those who bought coverage on the insurance exchange in 2016 admitted to smoking and paid the tobacco surcharge, which under the ACA can amount to an increase of up to 50 percent in the premium in order to cover the higher health risks and costs of being a smoker. Because of this, insurance premiums have gone up for everyone so that the total premiums from all the subscribers (‘the risk pool”) will cover the costs of care for sicker individuals whose premiums do not cover the cost of their care. In addition, the ACA ended the ability of insurance companies to impose annual and lifetime benefit limits, meaning everyone has had to pay more in premiums in order to cover these increased costs to the health plan. That is why premiums increased after the ACA became law, but why do premiums keep on increasing? more if they were unhealthy) and yet, try to be competitive in the public health exchanges, knowing that most people would make their selection based upon price. In most cases, the insurance companies underestimated the cost of insuring this new group of people and in all cases, the insurance companies did not anticipate that the government would change the rules on them after they established their new premiums. Why did most insurance companies set premiums too low? Insurance companies did not fully anticipate the amount of pent-up demand for healthcare services in this group of previously uninsured, nor their poorer health status. Insurance plans prior to the ACA often had waiting periods, a period of time during which one must pay premiums before a claim would be covered for a particular illness. Waiting periods were no longer allowed under the ACA. Additionally, many of the uninsured had significant healthcare problems that they were not addressing, and/or needed expensive procedures (like joint replacements) that they simply chose not to address while they were uninsured. With insurance coverage, many people began to have these medical and surgical conditions addressed, at high cost to the insurance companies, costs that greatly exceeded what these individuals paid in with premiums. Some of these newly covered individuals underwent expensive procedures, then stopped paying their premiums, choosing to pay the penalty for not maintaining insurance coverage rather than continuing to maintain coverage and pay premiums. Insurance companies also hoped to sign up many more young healthy individuals (the so-called “young invincibles”) whose premiums would not be consumed by healthcare claims, and therefore, could subsidize the healthcare claims of sicker, older individuals whose insurance premiums would not cover their care. Almost 12.7 million Americans signed up for exchange plans during the most recent enrollment period, far below the 21 million people projected by the Congressional Budget Office. Just 21 percent of these subscribers were between the ages of 18 and 34, a much lower threshold than the 35 percent target that experts believe is needed for a well-balanced risk pool. There were several reasons that these young healthy individuals did not sign up in greater numbers. First, many did not know about the law, the requirement for insurance coverage and the penalties for not being covered. Secondly, for those who did know, the premiums often were greater than the penalty for not being covered, and given their youth and good health, many decided to take their chances. What changes did the government impose after the insurance companies set their premiums that caused increased financial losses to insurance companies? As noted above, the government changed the rules. people would choose insurance plans on the public insurance exchanges that would help subsidize the healthcare costs of older individuals who also would sign up on these plans. After pushback about President Obama’s “If you like your health care plan, you can keep it” promise, the government created an exception that would allow states to “grandfather” these insurance plans for a period of years so that the penalty would not be imposed and “grandmothered” ACA non-compliant health plans that many had purchased after the enactment of the ACA but prior to the regulations that spelled out the minimum health benefits (the so-called ‘transitional plans”). Many young people kept these plans, continued to pay relatively low insurance premiums and did not enter the public exchanges. Therefore, the risk pools for the ACA plans were not well-balanced. In addition, the government encouraged insurance companies to offer low premiums by establishing three types of reimbursement, in essence an insurance for insurance companies if they signed up more than their fair share of sicker, higher-cost individuals, but then later withdrew funding for a significant portion of this program. That in turn led to significant insurance company financial losses and, some would argue, the collapse of 12 of the 23 insurance co-ops created under the law. With the reduction in program payments, many insurance companies suffered huge losses, resulting in the need to substantially increase insurance premiums. Additional parts of this program expire at the end of this year, which most predict will result in further insurance premium increases for next year. What else has contributed to the rising cost of health insurance since the ACA? In addition to everything else discussed here, new, extremely expensive drugs have become available. Hepatitis C offers an example. The CDC estimates that 3.2 million people in the U.S. have chronic hepatitis C infection. The blockbuster drugs that for the first time offer the potential for cure from this infection cost on the order of $84,000 for a course of treatment. Many of the people who would benefit from this treatment are in the group of people who were previously uninsured and now have coverage through the insurance exchanges. The cost of treatment far exceeds the premiums these patients would pay. Pharmaceutical costs have risen for other reasons, as well. Certain pharmaceutical companies have significantly raised the prices of medications that are not new drugs, for example. Are there any reasons to be optimistic? Will insurance premiums stabilize? Is it possible to rein in healthcare spending? One reason to be optimistic is that the officials of one of the largest insurers, Anthem, recently indicated that the company remains on target to post a slim profit on its public exchange business in 2016. And while one health insurer has announced its departure from the health exchanges in some areas of the country, we are not seeing others leave the marketplace in droves. percent more likely to drop their coverage during the year, depriving insurance companies of future premiums to offset these higher claims costs. Another positive will be the fact that grandmothered plans must end by the end of 2017. This could increase the participation in the public exchanges by healthier, younger individuals. Public outrage and increased government inquiry already appear to have reduced the rate of pharmaceutical price increases. We may see state or federal legislation, and perhaps some state enforcement actions that may further act to mitigate otherwise unbridled price increases. With the increase in the penalty for not having qualified health insurance coverage, the hope is that more young healthy individuals will enter into the public exchanges. Further, it is reasonable to expect some of the pent-up demand for high-cost procedures to plateau as people are on the exchanges for a longer period of time. In addition, insurers have found that they can better manage costs through employing narrow networks, and consumers seem perfectly willing to trade an open network for lower premiums. Narrow networks offer the opportunity to address the fragmented and poorly coordinated care structure that characterizes many of the large, open networks. 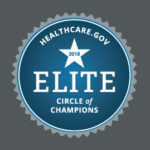 As insurance companies move away from fee-for-service payments to aligned performance incentives through these narrow networks that can share health records, better coordinate care and manage care transitions, I have no doubt that the true value of a health system can be demonstrated in better health, better care and lower costs. New rules issued by the U.S. Equal Employment Opportunity Commission describe how the Americans with Disabilities Act (ADA) and the Genetic Information Nondiscrimination Act (GINA) apply to wellness programs offered by employers that request health information from employees and their spouses. The new rules, which apply beginning in 2017, affect all workplace wellness programs (including those in which employees or their family members may participate without also enrolling in a particular health plan). The ADA and GINA, which apply to employers with 15 or more employees, generally prohibit employers from obtaining and using information about employees’ own health conditions or about the health conditions of their family members. Both laws, however, generally allow employers to ask health-related questions and conduct medical examinations if the employer is providing health or genetic services as part of a voluntary wellness program. Offer limited inducements to an employee whose spouse receives health or genetic services offered by the employer–including as part of a wellness program–and provides information about his or her manifestation of disease or disorder as part of a health risk assessment. In general, the maximum incentive or inducement may not exceed 30% of the total cost of self-only coverage under the applicable health plan. Among other things, the new rules also detail several requirements that must be met in order for participation in a wellness program to be considered voluntary, and require employers to provide employees with a notice clearly explaining what medical information will be obtained, who will receive it, how it will be used, and how it will be kept confidential. In addition to complying with the ADA and GINA, certain wellness programs must meet specific requirements to satisfy nondiscrimination rules under the federal Health Insurance Portability and Accountability Act (HIPAA). Due to the changing law and the complexity of the requirements that apply to employment-based wellness programs, employers are advised to check with a knowledgeable employment law attorney to ensure that any program complies with all applicable federal and state laws. Our section on Wellness Programs provides additional details. The Occupational Safety and Health Administration (OSHA) has released new guidance for staffing agencies and host employers to better protect temporary workers from hazards on the job. The new guidance focuses on safety and health training, and hazard communication. Employers have a duty to provide necessary safety and health training to all workers regarding workplace hazards. Temporary workers are entitled to the same protections under the Occupational Safety and Health Act as all other covered workers. When a staffing agency supplies temporary workers to a business, typically, the staffing agency and the staffing agency’s client, commonly referred to as the host employer, are joint employers of those workers. Both employers are responsible to some degree for determining the conditions of employment and complying with the law. Links to additional resources and publications. Note: Twenty-eight states have their own OSHA-approved occupational safety and health programs (“State Plans”). These State Plans have and enforce their own standards that must be at least as effective as OSHA’s, but may have different or additional requirements. Host employers and staffing agencies may review the guidance regarding safety and health training and hazard communication for specific information. Affected entities may also visit OSHA’s Protecting Temporary Workers page, which includes information and resources to help assure that temporary workers are protected in their workplaces. For more information on creating a workplace free from recognized hazards, visit our section on Safety & Wellness.